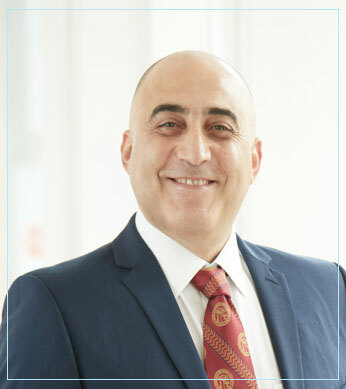 Mr Shafafy is a senior consultant spinal surgeon with many years of experience in management of all types of spinal conditions and pathologies ranging from simple back and neck pain and sciatica to complex paediatric and adult spinal deformities. In Paediatric Deformity such as adolescent idiopathic scoliosis in using modern instrumentation he employs his own spine derogating technique (shortly to be published) to achieve maximum safe correction of the spine. He also has developed his own technique in rib alignment to improve the appearance of posterior chest wall in very severe deformities when even maximum correction cannot achieve symmetrical posterior chest wall.In the treatment of early onset scoliosis, he was amongst the first group of spinal surgeons in UK and Europe who started using MAGEC (MAGnectic Expansion control) system. This revolutionary system allows correction of the spinal deformity in very young children via a less invasive technique whilst allowing the child’s spine to grow.In the field of Adult spinal deformity, although he employs established methods including Anterior and posterior reconstruction and correction techniques such as vertebral column resection and three column osteotomies, he also uses modern minimally invasive (MIS) approaches including Far lateral Interbody cages (incision through flank) for some cases. Again he was amongst the first group of UK spinal surgeons to start using this technique and he now teaches on this technique both nationally and internationally.Furthermore, in the field of adult deformity, he also utilises vertebral augmentation techniques (Vertebroplasty & Kyphoplasty ) for correction, instrumentation and reconstruction of osteoporotic adult spinal deformities and conditions. He is a national and International faculty and speaker in many spinal conferences and courses. He also has trained many generation of spinal surgeons.